Improving energy efficiency in our built environment comes with difficult challenges for our energy distribution network. 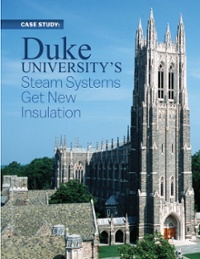 Traditional thermal insulation materials may force the system operator to choose between energy performance and available space, especially in underground applications. Variable climate conditions have seen an increase in flooding, which can render many traditional insulation products unsuitable for safe and reliable service in district energy environments. 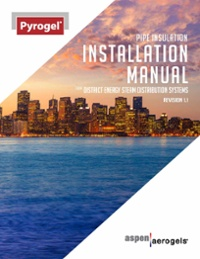 How do district energy operators combat flooded service and the short-comings of traditional insulation? 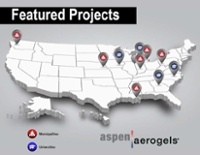 Many have turned to Pyrogel® and Cryogel® insulation. Today, many engineering companies and their clients consider Pyrogel and Cryogel insulation essential components of their process sustainability solutions, corrosion defense, and reliability programs. Pyrogel insulation is used in medium- to high-temperature steam distribution network service up to 1200ºF (650ºC) where sustained mission critical performance in difficult environments is essential, as in district energy environments. Pyrogel repels liquid yet allows vapor to pass, making it a smart choice where the potential for flooded service exists. This homogeneous resistance to liquid reduces the possibility of uncontrolled condensate and steam formation, protecting workers and the general public alike. A single part number can be used to protect pipework and accessories from condensate to main-steam lines, valves, and vessels. Pyrogel easily can be pre-cut to shape and delivered to the installation location. The ultra-thin format maximizes worker comfort and improves operator safety in enclosed spaces. Pyrogel insulation has the lowest thermal conductivity of any industrial insulation product. 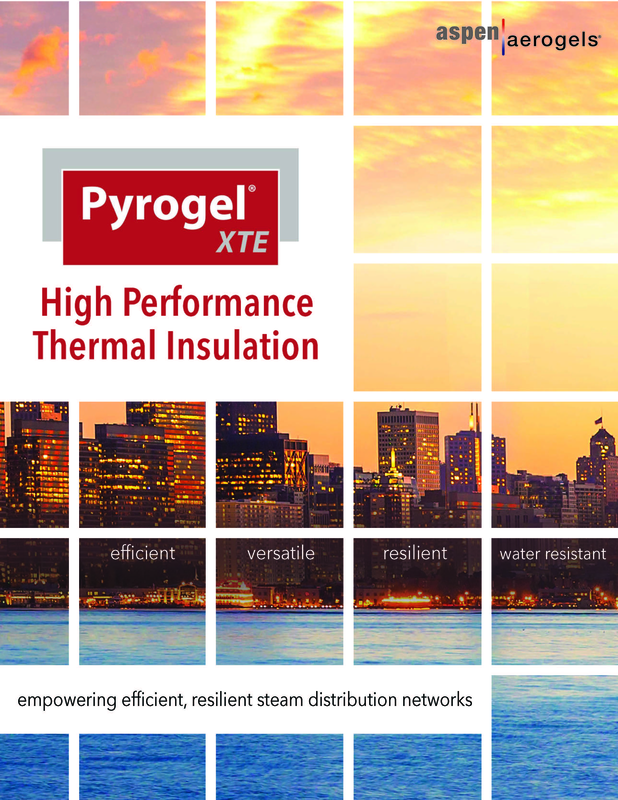 Just 2" (50 mm) of Pyrogel XTE meets existing ASHRAE 90.1’s most stringent heat loss requirements. The equivalent reference insulation requirement is over 5” (125 mm) as shown below. Pyrogel excels in space-challenged environments such as ducts, tunnels and vaults. Click here to explore opportunities to save energy and improve process reliability and safety in your next District Energy project.